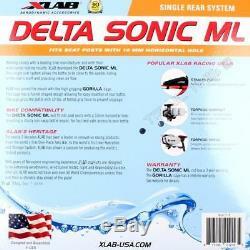 XLAB Delta Sonic ML Rear Road Bike Water Bottle Carrier System / Carbon Cage. New XLAB Mini Wing 105 Dual Bicycle Water Bottle Cage Hydration System. Color: Silver rod with Black/White Accents. Weight: 151 grams (5.3oz) for entire system. Rod Adjustability: 3.25 (82.5mm). Compatibility: Select Cervelo, Scott, Kestrel, BH and Fuji models. 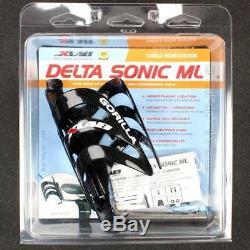 The item "XLAB Delta Sonic ML Rear Road Bike Water Bottle Carrier System / Carbon Cage" is in sale since Thursday, October 11, 2018. 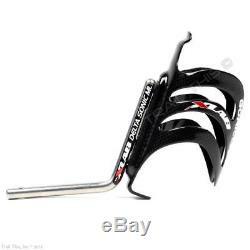 This item is in the category "Sporting Goods\Cycling\Bicycle Accessories\Water Bottles & Cages". The seller is "trailthis" and is located in Mount Horeb, Wisconsin.